A new tweak to tidal theory is proposed. The research team hopes that ‘understanding continental configurations and tidal strengths will impact the development of climate models’. Daily tides are driven primarily by Earth’s rotation and the gravitational force of the moon on oceans, says Earth magazine. However, in a new study in Geophysical Research Letters, researchers suggest that tidal magnitudes are also influenced, on longer timescales, by the size and shape of the ocean basins, and are therefore driven by plate tectonics. To model Earth’s future oceanic tides, the researchers used predictions of continental configurations for the next 250 million years, through when Aurica is predicted to form. 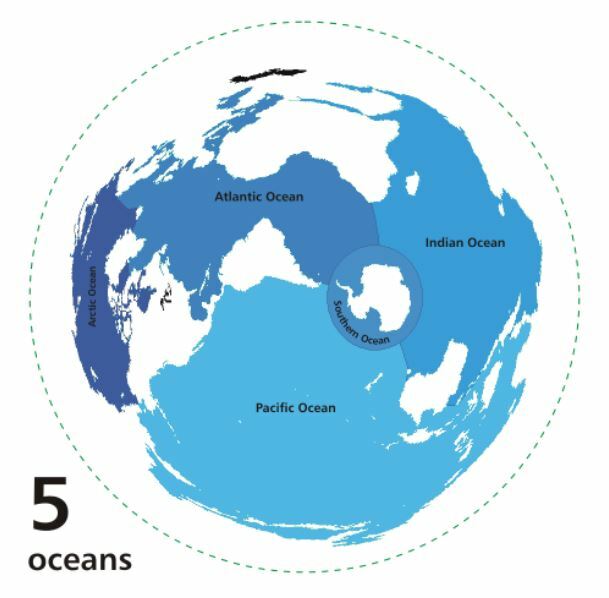 Ocean basin size was the main factor considered in the modeling, but the team also accounted for the moon’s gravitational pull on the oceans, Earth’s axial tilt, and simplified ocean bathymetries for future plate tectonic reconstructions. Simplification of these fine details does affect the team’s modeling, notes David Waltham, a mathematical geologist at the Royal Holloway University of London, who was not involved in the study. But the simplifications used likely do not change the overall results, he adds. Wherein is there any value in trying to model 250 million yrs in the future? In the first place, such modeling assumes that all other factors except those selected remain constant. Just what pertinent factors are being neglected? Will humanity still exist in 50 million yrs, and if so, would they even know about us? Perhaps I’m missing something obvious here, but modeling on such a vast scale and so remote in time is a bit useless. We don’t even know for sure what the planet was like a 100 million yrs ago, despite our best mundunugus who interpret the rocks. JB – see the later part of the post.